 Maps Made Easy is the lowest cost and highest quality cloud-based photogrammetry tool available. In an effort to keep our costs under control we need to make sure we are focusing on processing data, not hosting it. As part of our service we offer many different file formats by default and some of these files are quite large (multiple GB). Due to their size, these files are made available by download for offline viewing. This assumes that the user will download the file if that file type is required. There is a button at the bottom of every Map Detail page to aid in the downloading of all the files. What expires and what doesn't? For paid jobs, the web viewable versions of the maps and embeddable 3D model viewers will never expire. For free jobs, the entire job will expire and be deleted 6 months after the date of creation only if it is not actively being viewed. Regardless or whether the job was paid for or done with promotional points, the static output files are only available for download for 30 days from the time of submission. This includes GeoTiffs, DEMs, JPGs, 3D models, and KMZs (any file available with a link in the "Advanced Output" section). For example the links in the following example will say "No longer available" after April 15, 2016.  Maps Made Easy offers free processing to users as a means of allowing them to try the service without a requirement for payment. Many of these users create data storage intensive maps and never come back to the site or do anything with the data. In an effort to keep hosting costs down, Maps Made Easy retains the right to delete data it deems to be abandoned. Data was generated using free or promotional points. Data has not been accessed by means of a Maps Made Easy URL request in greater than 3 months. User has never paid for Maps Made Easy processing service via point purchase or subscription. User has not logged in for at least 6 months. Maps Made Easy provides hosting for the derived data files that are linked to in the "Advanced Output" section of the Map Detail page for 30 days. After this period the data is deleted and cannot be recovered. Is it possible to have the static output files made available after 30 days? I was not aware they expired after 30 days.